The one thing my family thinks about doing during those beautiful sunny days in Summer is spend it outside. Having a picnic/barbecue, playing frisbee at the park, jumping in the pool, or simply relaxing at the beach. No matter which activity we end up choosing, the routine is always the same. My family and I attended a soccer game yesterday at the Yankee Stadium. New York City was playing Orlando City. Since we knew we would be in the sun all day I applied my favorite Neutrogena Ultra Sheer Face & Body Stick Broad Spectrum SPF 70. This stick is my favorite because the application is super easy (non-messy) to apply. I also love how light it feels on the skin. Another really easy to use product from Neutrogena is the Wet Skin Sunscreen Spray. This spray can be applied to dry and wet skin. I applied it on Leanne's and Zareena's arms and legs. I applied it 15 minutes before sun exposer. After applying, I rubbed it in with my hands to ensure it was spread evenly on their skin. Remember preparing your skin before heading out in the sun is essential! I'm hitting you with a TBT (throwback Thursday) today. 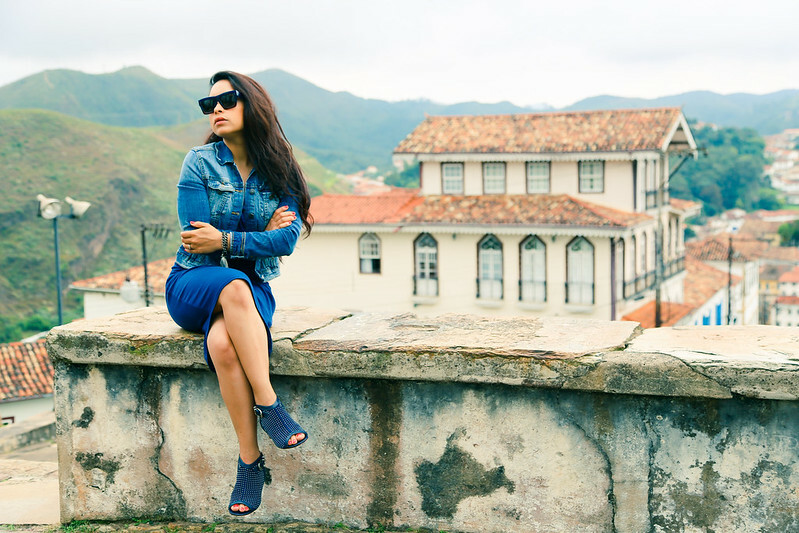 This shoot was taken during my time in Ouro Preto, Brazil. By far one of the most beautiful city's I've ever visited. If you remember, the reason of my trip was to work with thee most incredible footwear brands under the Brazilian Footwear umbrella. One of those brands was Cristofoli. This is my favorite Brazilian brand because of it's amazing quality and comfort. 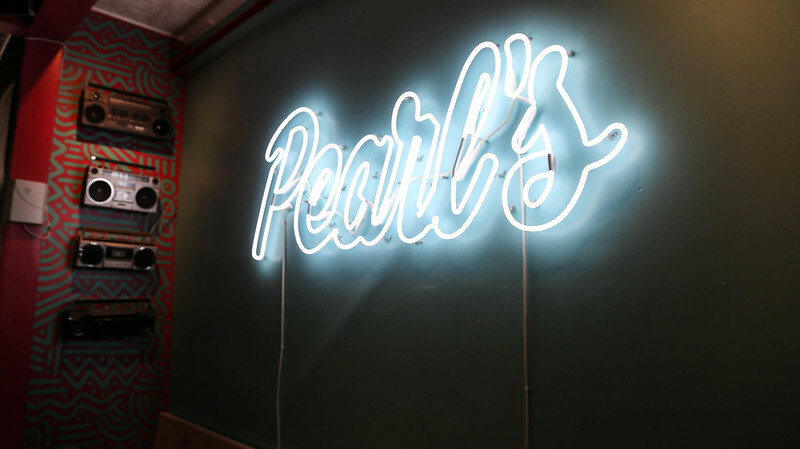 Over the weekend my family and I visited a Williamsburg Caribbean restaurant for brunch called Pearls. 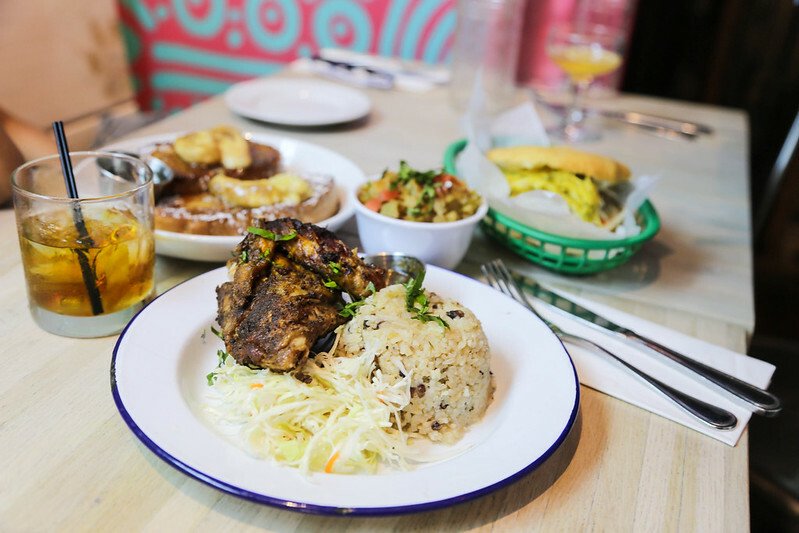 Believe me when I say that finding good authentic, flavorful caribbean restaurants in New York City is a challenge. When ever I hear about a new Caribbean spot opening up, I always give it a try. Especially if people are raving about it! That's how I ended up here at Pearls. Memorial Day is coming up and planning for the weekend is always my girls favorite activity. 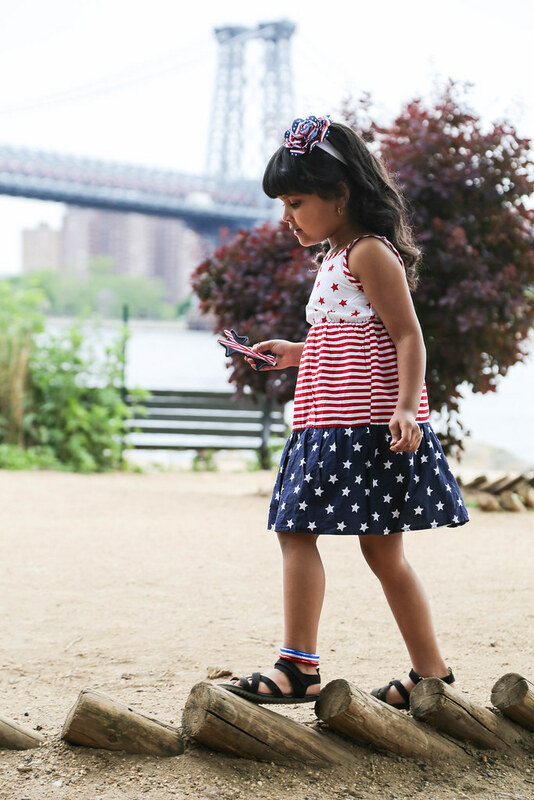 If you still have not bought cute outfits for your kids, this post is for you! I recently visited my nearest Children's Place and went berserk! I bought my girls full blown patriotic outfits that would be perfect for Memorial Day weekend or fourth of July. Everything was on super sale! (and still is!). For Leanne I got her a pretty girly dress, headband, sunglasses and bracelets. These bracelets were a little big for Leanne, so she came up with the idea of wearing them as foot bracelets. babyGap has partnered with Alex's Lemonade Stand Foundation for a very special collection benefitting the fight against childhood cancer. I can't tell you how many people I've met in my life who has lost someone to cancer and/or are battling the disease themselves. It's truly heartbreaking! I lost my mother in-law to lung cancer and know (from my husbands point of view) how difficult is was. 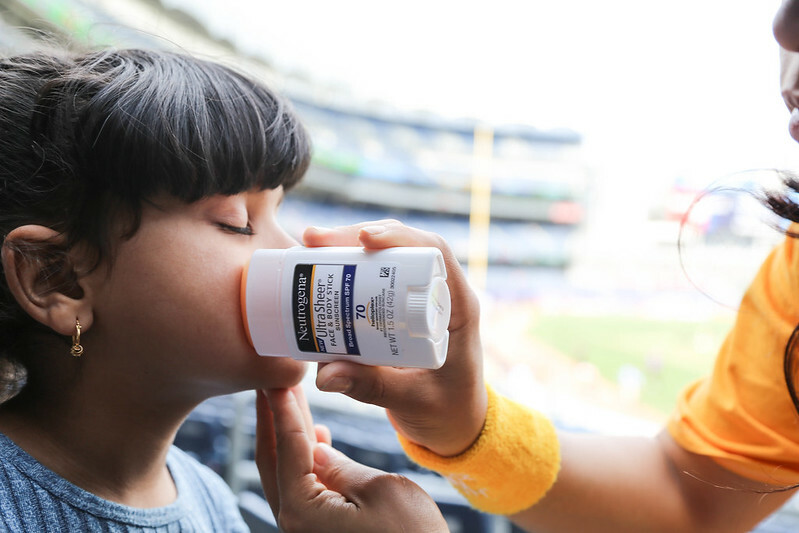 I cannot imagine how much more challenging it must be for a child to go through something like this. It is why I love supporting foundations who fight against cancer, raise awareness and money for treatments and cures. 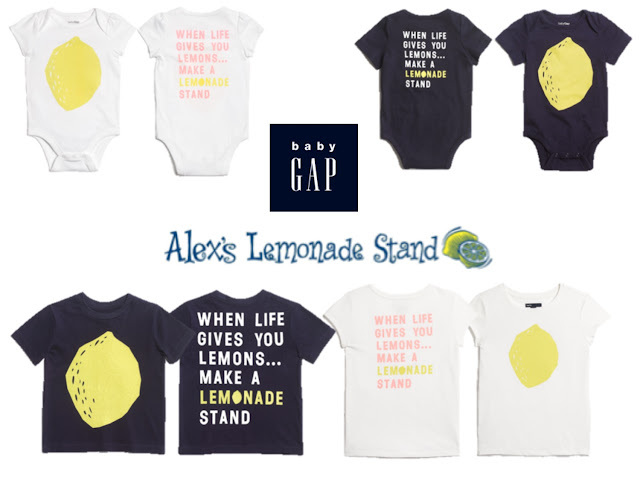 This collection includes a great selection of six tees and onesies with the message "When Life Gives You Lemons.... Make A Lemonade Stand." One hundred percent of the profits from sales of these six pieces will be donated to ALSF to fund the organization's mission of raising money and awareness of childhood cancer causes, primarily for research into new treatments and cures, and to encourage and empower others, especially children, to get involved and make a difference for children with cancer. The collection launches May 24th, in-stores May 27th, and will be available for only 5 weeks. It's always so fun dressing my girls up during Spring/Summer. We get to play around with fun colors, patterns and accessories. 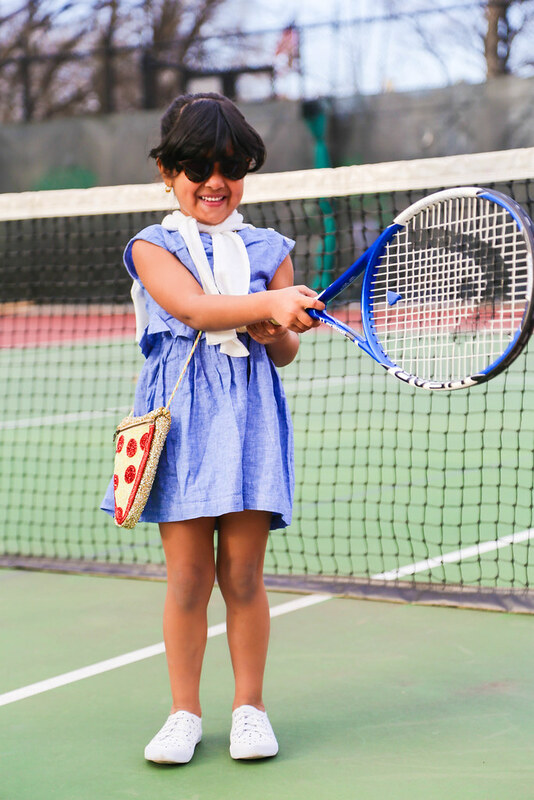 How adorable is this pizza purse from J.Crew!! I literally died when I saw it. They have so many other fun designs too, check them out here. Mis hijas y yo siempre nos divertimos en el verano vistiendonos. Hay tantos colores, diseños y accesorios para usar. Como esta cartera de pizza! Yo literalmente me desmaye al verla! J. Crew tiene muchos mas deseños divertidos. Delen click al link debajo para ver mas. Last month I was searching online for a place to visit in Lake Placid, NY. 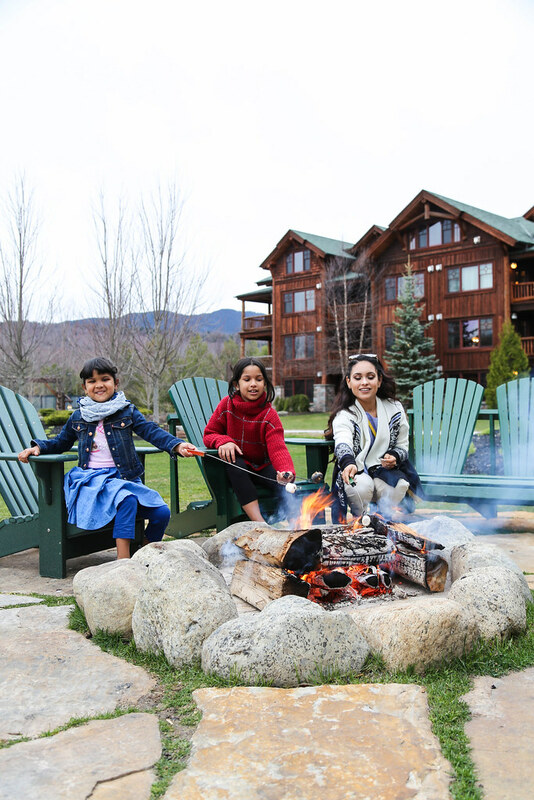 I knew my girls would be off school for one week during Spring break and I wanted to take them to a resort for the week. After chatting with a few friends who've visited the area we knew this was it! Even before knowing that Whiteface Lodge was Lake Placid's only Forbes 4 star resort. We booked a three day, two night stay in a two bedroom suite. It was pretty sweet!! The drive wasn't too bad. It would've taken us 4 hours and 50 minutes from door to door non-stop. Nonetheless, we had to stop at a few rest stops and it took us a little longer. I wore this pretty outfit for Mother's Day but it totally screams out 'Romance in Spring/Summer'. Off the shoulder tops and dresses are all the rave right now and so is this color combo. On the lips I'm wearing 'Grey Over It' #765 by Maybelline. Yo me puse este look para el Día de la Madre, pero totalmente grita 'noche romántica en la primavera / verano'. Blusas que no cubren los hombros y los vestidos es una gran tendencia en este momento. Al igual que esta combinación de colores. Pops of yellow have always been my favorite when styling an outfit. Sometimes I have to hold back because I always want to wear it. The color is almost an instant reminder that everything is going to be OK. 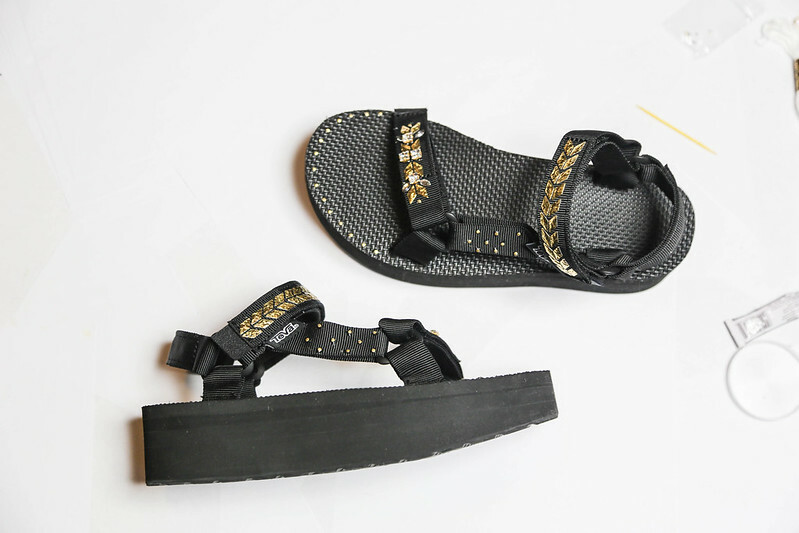 It's the bright, cheerful waves that always puts a huge smile on my face when I wear it. Is that crazy!? Today I've added this henri Bendel cross body bag and SJP pointed strap shoes to add a nice pop of color to the look. This non-iron loose fitted dress is by FoxCroft and its super comfortable, I want to live in it. El color amarillo siempre ha sido unos de mis favoritos. A veces tengo que frenar porque siempre quiero usar lo. El color es casi un recordatorio instante en que todo va a estar bien. Es las ondas luminosas y alegres que siempre pone una gran sonrisa en mi cara cuando me lo pongo. Creen que soy loca!? Hoy he añadido esta cartera de Henri Bendel y unos zapatos de SJP para añadir un bonito toque de color a la mirada. Este vestido es de FoxCroft y es súper cómodo, yo quiero vivir en el. I hope you all enjoyed your weekend and had a lovely Mother's Day! On Saturday we first headed to run some errands starting with picking up a package from the Fedex office. We then headed to the nearest market to have small bite. Afterwards did a small outfit shoot and visited the kids grandparents in Astoria. On Mother's Day I woke up to the sweetest surprise!! Z, made me breakfast in bed! I mean, my husband has never even done that for me, so I was so happy and weirded out at the same time because she filmed it all (and I wasn't camera ready, haha). After getting ready we visited The Cloisters which my friend Maria told me about a few weeks ago. It's such a beautiful location specially for photos! Then, we headed to lunch. We spotted Superiority Burger (vegetarian fast food restaurant) as we were driving. It's located on 430 East 9th street, NYC. If it's your first time here, I recommend ordering their famous Superiority burger!! It's delicious and good for you! We then crossed the street to a small bakery called Zucker bakery which serves the best chai tea in the area. Afterwards we walked around the neighborhood and stopped to say hello to some cats at a cat adopting shop which is run by volunteers. We then drove around taking in the beautiful scenic views of NY. I hope you guys enjoyed our video. Let us know what you think and if you'd like to see more. When I first heard about Brooklyn Boulders a few months ago, I instantly thought "hmm, I need to get my family to do this. It'll be one thing off our bucket list!". Well, I finally was able to bring them to the Queensbridge location along with my friends. This is one of 4 locations across the US. Never in a million years would I have thought that my family would become obsessed with this activity, including myself. 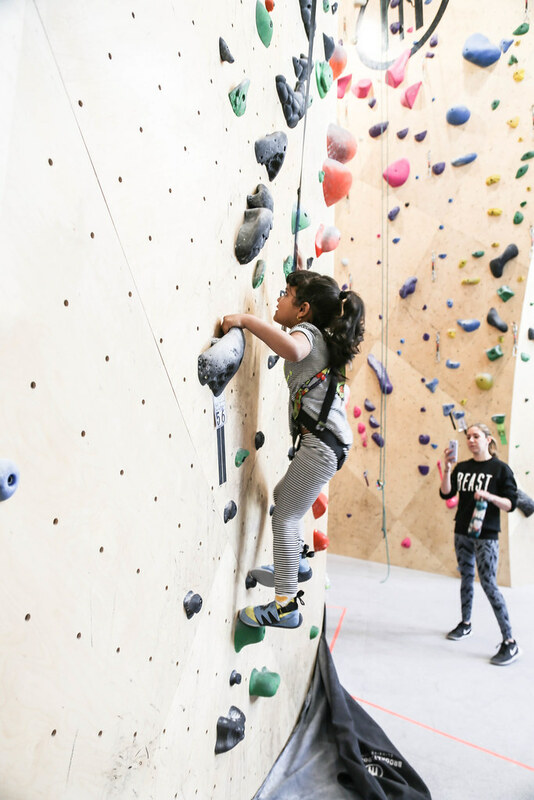 Brooklyn Boulders is now offering an amazing Kids Spring & Summer program which you can checkout here. Kelly Rutherford was spotted carrying the limited edition Vera Bradley for Win Reversible Mother's Day Tote in Nomadic Floral while flower shopping on Madison Avenue, Upper East Side in NYC. The Gossip Girl alum and mother of two carries the special limited edition tote, supporting Win, Women in Need, an NYC based charity that transforms the lives of homeless women and their children by providing safe housing, holistic services and innovative programs to break the cycle of homelessness. 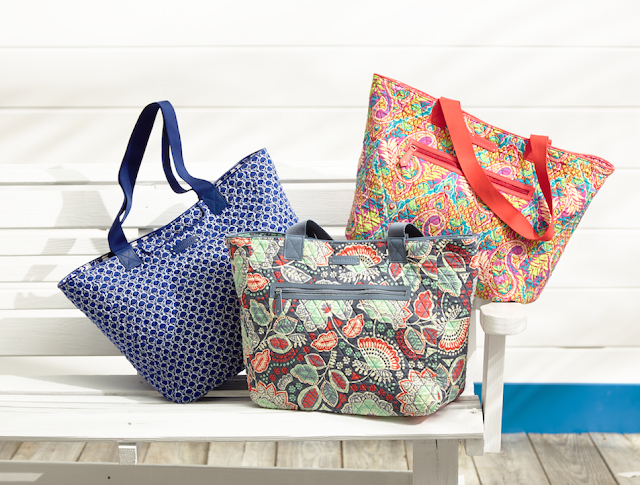 This Mother's Day, Vera Bradley and Macy's partnered to support Win with the Vera Bradley for Win Mother's Day Tote which is available in three reversible color ways including, Cobalt Tile, Nomadic Floral and Paisley in Paradise. Retailing for $88, the bag is available on Macys.com as well as in 40 Macy's New York Metro locations and on VeraBradley.com and select Vera Bradley stores with all proceeds benefiting Win. By purchasing this limited edition tote, you are saying "Happy Mother's Day" to those moms who need it most!